Of the epoch-making events in our country’s history, President Nelson Mandela’s statement from the dock in the 1964 Rivonia trial is widely accepted to be amongst the finest examples of political oratory of the 20th century. Although its powerful denouement, “it is an ideal for which I am prepared to die” is most widely cited, it is at the very beginning that he outlines his motivation for becoming involved in the struggle for his country’s liberation. Serving his people with humility was a hallmark of the revolutionary morality exhibited by one of the greatest revolutionaries of our time; a man who despite his immense stature, was guided not by a quest for recognition, nor for material gain – but by wanting to do his small part. As we mark the centenary of the birth of this great leader, the African National Congress and indeed the country, is at another epoch in our history. Africa’s oldest liberation movement has embarked upon a new path of unity, organizational renewal and accelerated socio-economic transformation. It has at its core a recommitment to the founding values of our glorious movement; to being a party rooted among the people, representing their interests, concerns and aspirations, transforming society and developing every community. This moral ideal – that sublimates self-interest to the pursuit of the greater good, does not apply only to the leadership of our movement, but to each and every member in each and every community. It is a powerful and transformative impetus that sees every member of our movement as an active force for change. It is the driving force in our struggle to transform society. The ANC is at a crossroads. We must painfully acknowledge that the decline in the ethics, values and traditions of the movement have led to a growing alienation between us and South African society. The social compact formed with our people in 1994 has come to be severely tested by the emergence of a host of ills that have beset our movement. Many of these have been manifest in a very public manner, leading to what the then Secretary-General of the ANC Comrade Gwede Mantashe described in his 2017 Organizational Diagnostic report to the National Conference as ‘a growing trust deficit’ between the ANC and the people. The pernicious influences of corruption, of factionalism, of arrogant leadership and of collapse of party discipline have contributed to the ANC being perceived as a vehicle for self-enrichment. This can no longer and will no longer continue. Contemporary events in South Africa have thrust into the spotlight the pervasive influence of greed and self-accumulation at the expense of our people. The VBS Bank scandal is but one instance of the withering away of our society’s moral fiber, as a small minority enriched themselves with utterly no regard for the destitution and destruction they created in the lives of honest, hardworking South Africans. Similarly, testimonies at the Zondo Commission of Enquiry paint a bleak picture of hidden handspurportedly manipulating key institutions and offices of State, abusing political patronage in a web of deceipt. History bears witness to the fate that has befallen revolutionary movements who fail to heed the signs of decline. Endemic corruption and the abuse of state and party resources for private gain precipitated a spectacular loss of fortunes for the Communist Party of the Soviet Union in the 1970’s during the Brezhnev years. It was ironically a scenario Lenin himself predicted decades earlier when he spoke of a scenario where institutions were ‘captured’ by ‘unscrupulous and malevolent men’, who ‘manipulated them to cover-up or condone their own abuses of power.’ Failure to stem the tide of corruption led to the unravelling of not just the Party but the entire Soviet system, as it fed into a general disillusionment that became impossible to contain. If the ANC is to reassert its position as leader of society in the face of a growing disillusionment by our people, we need, indeed we have to exhibit – not with words, but with actions, that we are committed to addressing and correcting our weaknesses, and to stamping out the vices that have divided our movement. The contemporary renewal of the ANC is the perestroika of our time; and must be led from the front. It requires leaders of principle, of revolutionary morality, and of humility. We owe our position to an overwhelming public mandate given to us in successive polls since the dawn of democracy – but is not something we should take for granted. 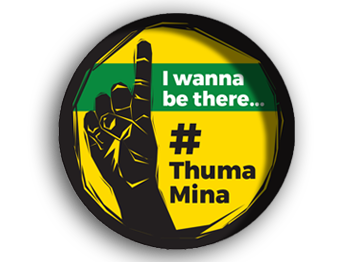 Maintaining and securing our compact with society calls for leaders and cadres who are both ethical and altruistic, and who make no distinction between how they conduct themselves in private, and as members of the ANC. 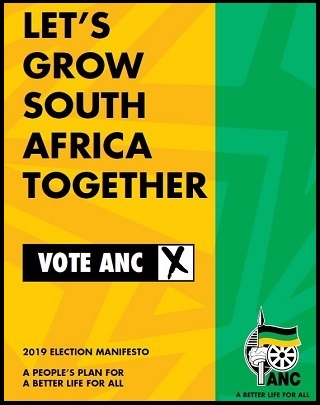 For ultimately if they falter, they are not judged as individuals, but as members and leaders of the ANC. Assuming the mantle of leadership of society confers with it great responsibility, and this is inextricably tied to accountability. 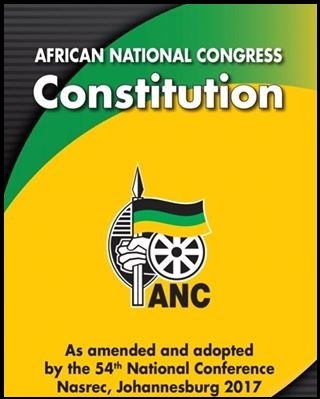 Where there has been abuse of political office for personal gain; where there have been acts of illegality and criminality; and where public office bearers, ANC leaders or members are found to have otherwise conducted themselves contra bonos mores – there must be consequences. In as much as our law-enforcement authorities must act in this regard without fear or favour, so too we as the ANC must strengthen our internal accountability mechanisms, such as the Integrity Commission. For such structures to have credibility, consequence management must be both swift and tangible. The task before us is a momentous one. At the same time, we have within our means the opportunity to chart a new course for our movement, while we still retain a large measure of public goodwill. The ANC has an established track-record for service delivery and for advancing programmes and policies that benefit our society’s most disadvantaged. It is up to us to draw on our strengths, to correct our weaknesses, and above all, to remain united. The ideals for which the likes of Tata Madiba stood, and for which he was prepared to die, should serve as inspiration to each of us as we move together, with a renewed sense of purpose and optimism, into the future.